Before we leave fossil fuels for dead, we should understand that peak oil happens around the time that the resource is half-depleted. So we’ll have many decades of conventional oil, albeit at dwindling rates. Likewise for gas and coal, whose peaks may be decades away still (but likely this century all the same). My main concern is how we cope with the decline stage of fossil fuels, which is not as final as being dead, but effectively forces us into a new era of energy transition. Because conventional oil will begin its decline first, a chief concern is how we might replace its function for transportation. Rather than write off fossil fuels completely, some see promise in what alternative fossil fuels might offer. Indeed, a number of non-conventional fossil fuels may represent our most convenient next step in energy. The low-hanging fossil fuel fruit has been plucked, so that the conventional sources get progressively harder and more expensive to acquire. Meanwhile, the ground is full of sub-prime fossil energy that becomes exploitable as the conventional resources wane (and become more expensive). If inferior replacements for conventional oil turn out to be exploitable at scale, our concern may shift more to the climate change side of the story: many fear that we may run out of atmosphere before we run out of hydrocarbons—and they could be right. In a strictly quantitative sense, the notion that we have an abundance of hydrocarbons yet may be accurate enough. I used the following plot in the post on peak oil, adapted from Brandt & Farrell. Dark shades indicate reliable resources, while light shades represent increasingly speculative holdings. We are about halfway through the conventional oil endowment—thereby near the production peak assuming the usual symmetric performance history. But perhaps we can recover a much greater fraction of the oil in the ground through advanced oil recovery technologies. Then we have tar sands and heavy oil from Canada and Venezuela. Or we can liquefy natural gas to cover the oil shortage. And as the Nazis and Apartheid South Africans demonstrated, liquid fuel can be produced from coal. Finally, we have a potential option in oil shale. Resource estimates vary, but even taking the dark green segments in the picture above (reliable lower-bounds), we at least triple the remaining “liquid” hydrocarbon resource available. By the way, I recommend totally ignoring the vertical axis on the plot. Cost of extraction tends to rise as energy prices rise, and these estimates are rooted in a cheap energy economy. At the very least, the lines should slope upward, as the tail end of a resource is always more costly to extract than the early stuff. In any case, I consider the cost estimates to be unreliable. Let’s just put a timescale on this resource. Three trillion barrels, at today’s rate of petroleum use, would last about 100 years. But it does not work this way. In most aggregate resource situations, the peak rate of production is reached when half the resource is gone. In this case, our total 4 trillion barrel “liquid” resource would be halfway depleted in 30 years, assuming the alternative fossil fuels can step up to the rates we enjoy today. And this does not allow for competing uses for gas and coal, acting to reduce the time-to-peak if fully exploited. By another measure, if we resumed our growth track of energy use, for instance at 2% per year (more modest than historically typical 3% per year), we would burn through three trillion barrels of liquid fuel in 55 years. Either way you cut it, chasing after sub-prime hydrocarbons is another short ride that has the ill side effect of putting us deeper in the climate hole. In 2005, the U.S. Department of Energy commissioned a study of peak oil and its ramifications. Called the Hirsch Report (summary) after its lead author, the focus centered not on when the peak would occur, but rather on what we could do to mitigate the damaging effects. The report rightly identified the peak oil predicament as a liquid fuelsproblem, since electricity and heat are more easily substituted by alternative means—though not trivially so. Note that not one of these options represents a departure from fossil fuel transport. At some level, this speaks to a desperation in our predicament: we simply are not ready to be weened from the fossils, even as it becomes ever more imperative that we do so. So what? If the resources are abundant enough, as the figure above suggests, then why not adopt this list of mitigation strategies and just get started? I’ll make a few global comments before discussing each option in turn. The most significant point is that the declining fossil fuel supply will be experienced not according to the total amount in the ground, but rather according to how quickly that resource is extracted and made available. We face a rates shortage more so than a resource shortage. To illustrate, in 1973, the U.S. was experiencing a declining rate of domestic oil production and got slapped with a Middle-Eastern oil shock that more than tripled the price of oil practically overnight. At the time, approximately 100 billion barrels of oil sat below American soil, most of it already known to exist, and with thousands of wells already accessing many of the deposits. 100 billion barrels would have been enough to satisfy all of domestic demand for over 15 years. Yet imports increased over the next several years while domestic production continued to decline. Was this some sort of masochism, or the anagrammatically similar machismo? No. All the incentives were there for increasing domestic production, but nature did not care. Real oil wells—as opposed to the hypothetical ones conjured by economists—struggle to move viscous oil through porous rock, and are not amenable to extraction at arbitrary rates set by human demand. There is no spigot: no straw in some underground lake of oil. Similarly, the raw amount of hydrocarbons in the ground is only part of the story. Can they be extracted and processed at a rate that makes up for conventional oil decline? That’s the key question. The second global point, as stressed in the Hirsch Report, is that the scale of oil consumption is so breathtakingly large that even a modest decline rate of a few percent per year represents a staggering energy shortfall. Globally, a 3% annual decline in a resource that constitutes a power consumption of 5.5 TW means a yearly decline of 165 GW, or about 40 GW in the U.S. It is a tall order to scale the mitigation strategies up to a point that they could backfill this annual shortfall. For this reason, the report advocated starting a crash program 20 years before the onset of decline in order to assure sufficient scale in time to match the decline when it starts. The report concluded that a lead time of only 10 years risks major disruptions to economies. Beginning the crash program at the onset of decline was considered to be a catastrophic option. And a show of hands: who here thinks we would start an all-out mitigation program at the scale of World War II mobilization before resource decline sets in? If I weren’t typing, I’d be sitting on my hands, even while hoping that I am being too cynical. A third point is that many of the scales I discuss below are based on a 3% annual decline of conventional oil. For a net oil importer like the U.S., the available oil may go down even faster if any countries reduce their export rate. At least one major oil-exporting country will make the calculation that at double the price, they can afford to sell half as much oil and still keep their economy humming (observing that they are not hurting at present). Oil prices rise higher as a result, tempting others to preserve their black gold for their own uses, only exacerbating the problem. How long will this go before military seizure takes place? In any case, oil importers may face an even steeper decline rate at the hands of geopolitical factors. Such things are not unknown to humankind. Collecting some thoughts, the mere existence of alternative hydrocarbons in the ground does not translate to a storehouse of resources ready to satisfy our demand at the time and scale we need without decades of steady preparation. Think of a farmer in the flush of late summer waving off concerns of the coming winter because there’s lots of corn on the field, but not bothering to spend the fall preparing for the winter by actually harvesting the grain. An imperfect analogy, but the point is that the scale of the problem requires substantial preparation well ahead of our time of desperate need. Now let’s look at the Hirsch Report options, recognizing that at best, all but the first are stopgap “solutions” based on a finite resource. Not technically a finite fossil fuel resource, improving the efficiency of our current automotive fleet does not represent a departure from fossil fuels, but aims to slow down their rate of use. I am a big fan of efficiency gains, and think there are always places to cut. On the other hand, efficiency gains tend to be slow, and do not have unlimited potential, as detailed in the post on limits to economic growth. Consider that improved efficiency has been an ever-present goal of our car industry. Few people want their vehicle to be explicitly inefficient: an SUV that got 50 MPG would sell like hotcakes. Indeed, we have seen a steady improvement in the fuel economy of a typical family car, amounting to a factor-of-two improvement over the last 3–4 decades. This translates to an annual rate of improvement of 1% per year. As explained in an earlier post, fuel efficiency boils down to aerodynamics and speed. Embracing smaller, slower, more streamlined cars is the only obvious path forward for improved economy. The Prius is primarily as successful as it is because of its small, wedge-shaped form. Largely, efficient transport is a well-squeezed lemon. Sure, we’ll get more drops out and should make every effort to do so: 1% per year can make a respectable dent in a 3% decline. Accepting behavioral changes could bring a fresh lemon to the scene. Another way to say this is that we will only see substantial improvements in vehicle efficiency if we change our expectations about what a car is supposed to do (or migrate away from personal cars as a primary means of transportation). A number of techniques exist to improve the fraction of oil in a well that can be brought to the surface. Of course oil developers use every practical tool at hand to stimulate oil flow: pressurized water injection, horizontal drilling, hydraulic fracturing, and injection of gas like CO2 to dissolve into the oil and allow it to flow more easily. This last technique generally goes under the heading of Enhanced Oil Recovery (EOR), and can improve the extraction of oil by about 10% of the original in-ground amount. It runs a bit on the expensive side, butfuture energy will be expensive anyway. 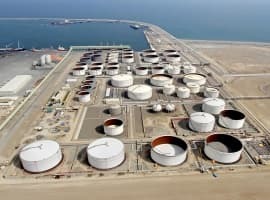 So this technique will help offset the decline, if employed at large scale, and has the advantage of delivering light crude oil that our infrastructure is geared to process. Some oil, like the stuff in Venezuela, is substantially more viscous than conventional oil, approximating tar. Additionally, tar sands in Canada offer similar raw material for making synthetic crude oil. These two resources combined may supply something like half-a-trillion barrels of feedstock. California has a bit as well. Presently, Canadian production is a little over 1 million barrels per day (Mbpd), while Venezuelan production is a little less than this. Optimistic projections expect 3–4 Mbpd by 2020 in Canada. For scale, ten years of conventional oil decline at 3% per year will leave a shortfall over 20 Mbpd. Venezuela is not expected to move so quickly. 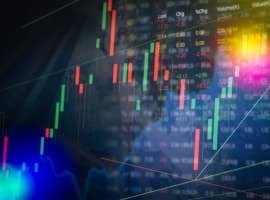 Put together, these might be able to offset a quarter of the conventional decline—having a head start over other options. Heavy oil and tar sands require more effort to extract and process than conventional oil, lowering the energy returned on energy invested (EROEI) to something in the neighborhood of 5:1 (reference). At least it’s net-positive, but nowhere near the 100:1 originally enjoyed by conventional oil, or even the 20:1 levels we find in conventional fields of today’s caliber. Heavy oil and tar sands will no doubt relieve some pressure on declining conventional oil, but they are capable of only partial relief. In other words, just because we believe the resource to be half-a-trillion barrels, rate-limited extraction will limit its ability to mitigate conventional oil decline. Did anyone notice that the U.S. does not own either of the large heavy deposits? Hey. Don’t discount Canada: last time we were in a war with them they burned down our White House! When pressed, societies have in the past resorted to synthesizing gasoline out of coal, in a method known as the Fischer-Tropsch (F-T) process. Coal, which is mostly carbon, is partially combusted, or “gasified,” to make carbon monoxide. The CO is combined with hydrogen gas to make long-chain alkanes like octane, spitting the oxygen out in the form of water. One typically uses CO also to create the hydrogen gas from water via CO + H2O → H2 + CO2. Thus only one of every two carbon atoms winds up in the synthetic fuel, the other lost to CO2. The National Mining Association, strongly advocating our using more coal as fast as we can, estimates a refinery cost pushing $1B, yielding 10,000 bpd production. 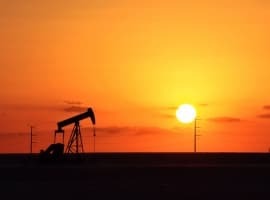 For scale, a 3% per year conventional oil decline would leave the U.S. short by 600,000 barrels per day, requiring 60 such new plants to be built every year to plug the gap—each costing about the same as a 1 GW coal-fired plant (and processing 0.6 GW-worth of liquid fuel energy per day). It’s a big deal. Obviously, I’m not suggesting that coal liquefaction—or any of these alternatives—carry the full weight of replacement, but simply use full-scale numbers to establish the bounds and set the scale. Compounding the problem of the required rate at which new processing plants would have to be built, consider the numerous downsides of coal. We would desperately like to shake our addiction to the dirtiest, most CO2-intense fossil fuel. How’s that workin’ out for us? Mountaintops razed flat, mine tailings, sulfur, mercury, and other toxins leaching into streams and rivers: expanding coal production is not high on the list of things we want to do. We should also be careful about assuming that we are up to our ears in coal. It’s true that the U.S. has ample coal resources compared to its remaining oil endowment. But consider that the estimated total U.S. resource has declined from about 3000 Gt (gigatons) prior to 1950 to half that amount around 1960, lately sitting around 300 Gt. This isn’t due to depletion of the resource (70 Gt so far), as the number I’m quoting is total resource: past production plus estimated resource. A similar story unfolded in the UK—whose leading role in the industrial revolution owed to vast amounts of coal in the ground. For over fifty years leading up to 1970, British coal was repeatedly estimated to total about 200 Gt. Over the next few decades, the estimates collapsed to about 30 Gt. The biggest shock is that this happened when 25 Gt had already been consumed, suddenly leaving about 5 Gt of recoverable coal when it had been imagined to be about 170 Gt. Imagine you’ve got $17,000 in the bank and you are contemplating buying a new car—only to realize that your latest bank statement puts you at $500: 3% of what you thought you had, and maybe not enough to even buy a old beater that still runs. As we’ve learned more about what kind of coal seams are accessible, downgrading estimates has been a global systematic phenomenon. Many folks, unfortunately, still carry around the old concept that we’ve got more coal than we could possibly know how to use (to the chagrin of the climate-concerned). To date, the U.S. has used 70 Gt of coal, at a current rate of about 1 Gt/yr. If the current official estimates are right, then we have about 230 Gt left. Simple math suggests this means 230 years, or 86 years at a 2% annual increase. But other compelling evidence put together by David Rutledge suggests that we are now about halfway through the resource, having only 60 Gt left. The same analysis puts remaining global coal at 370 Gt, having used about 310 Gt to date. This estimate of remaining global coal is a little less than half of conventional estimates. I’m not prepared to judge which estimate is correct, but take seriously the possibility that we have much less coal than is assumed—especially in light of the dramatic trend of reduced resource estimates over the decades. If you’re going to err, it’s best to err on the safe side. How do these numbers translate into oil production? One kilogram of coal, containing perhaps 0.7 kg of carbon, via Fischer-Tropsch, will commit 0.35 kg of carbon to about 0.4 kg of octane (C8H18), producing about 0.6 liters of fuel. One barrel (160 ?) of fuel then requires about 250 kg of coal, leading to the association that each ton of coal yields 4 barrels of fuel. Replacing a 3% shortfall of about 200 million barrels per year in the U.S. requires an annual uptick in coal production of 50 Mt/yr, or a 5% increase, year over year, for a doubling time of 14 years. In a related measure, if the U.S. wanted to (or were forced to) cease oil imports, it would mean doubling coal production, giving the U.S. perhaps as little as 30 years of resource. Could we imagine ramping up coal production at anything approximating this scale? Again, it could certainly contribute to easing the decline, but is likely incapable of carrying the load on its own—if we would even want it to do so, given the many downsides of coal. We are presently striving to use less, not more. As with coal, methane gas can be synthesized into liquids like octane via the Fischer-Tropsch method. In this case, steam is mixed with methane (CH4) to produce CO and hydrogen gas. Then the CO is combined with hydrogen in the usual F-T dance. This time, all the carbon goes into the fuel since the necessary hydrogen is provided by methane, and is therefore a more efficient process. In either the coal or natural gas route, all the carbon ends up in the atmosphere after combustion anyway (unless one of the carbons is captured in the coal version), so no big difference there. The U.S. uses about 20 tcf of natural gas per year, where a tcf is a trillion cubic feet. One cubic foot is 28 liters, and at 16 grams per mole, 22.4 liters per mole at standard temperature/pressure, methane has a density of 0.7 g/?. Each liter of methane can create 0.64 g of octane, so that a liter of octane (at 700 grams) requires 1100 liters of natural gas. Replacing a 3% annual shortfall of 200 million barrels (at 160 ?/bbl) would then require 35 trillion liters of methane, or 1.2 tcf: a 6% annual increase in natural gas production—similar to the impact on coal. This isn’t too surprising since we currently get comparable amounts of net energy from gas and coal, and each being roughly half what we get from oil. So a 3% decline in energy from oil would need to be replaced by something like a 6% uptick in either replacement. Estimates of how much natural gas is available is all over the map. Conventional natural gas development is in decline in the U.S., but a recent surge in hydraulic fracturing (fracking) has many folks giddy over the prospect of a seemingly inexhaustible resource. But beware of the low-hanging fruit phenomenon. If we base our enthusiasm on the earliest, easiest to exploit examples (akin to gushers in the early days of oil), we may find ourselves disappointed. See the illuminating report by David Hughes for a more sober assessment of our likely natural gas resource. For example, the U.S. Energy Information Agency projects that shale gas—currently at about 15% of domestic gas production— will nearly triple by 2035 to be our single biggest resource for natural gas. This is on top of a conventional supply that falls by 29% over the same period. In aggregate, the rapid expansion of shale gas allows a slow net growth rate of 0.4% per year. The faith in shale gas to deliver already seems stretched a bit, so that it is difficult to assess the likelihood of net gas production growth at all. And even if it does grow, the 0.4% per year projection falls far short of the 6% level that would be needed to offset a 3% per year decline in oil. Yes, we can re-purpose other fossil fuels (coal, gas, heavy oil/tar) to help plug the gap in liquid fuels, meanwhile accelerating their depletion. We can use liquid fuels more efficiently. We can try every trick to tease more oil out of depleted wells. All these things will happen. Their collective effort will ease the pain (and bring on new hurts), but it is not clear whether all efforts in tandem can arrest the decline, given practical, political, end economic realities. They are all more expensive, all lower EROEI, all harder, and with the exception of efficiency improvements keep pumping CO2 into the atmosphere. Although the pain may be eased, the problem does not go away. I’ve never had a hangover, but I imagine this is what such an existence would feel like: a fossil fuel hangover. When will we decide to pull the plug? My cynical prediction is that concerns over climate change are unlikely to hold sway over energy scarcity. Heck, climate change has had little influence over our current energy mix even when energy is cheap and abundant. In some sense, this track record only highlights the difficulty we have in finding suitable alternatives to fossil fuels. Maybe declining fossil fuels will provide the impetus that climate change has not succeeded in delivering: for us to finally embark in earnest in a deliberate departure from our old friends. But we may decide instead to cling to the lowborn cousins of the royal fossil fuels: the kings of old. No matter what mix we decide to pursue, if we wait until the decline starts before seriously ramping up all viable efforts in tandem, we will find economic hardship, job loss, energy volatility as demand flags and then resurges, etc. The unpredictable environment will not be conducive to large investments in risky alternatives. In short, we could get caught with our pants down. And if you’ve ever tried to run in this state, you know what happens next. So I don’t look at the hydrocarbon resource figure above and feel cause to breathe (cough?) a sigh of relief. If we’re going to try following that route, though, we’d best hold our noses and get on with it. Failing this, an advisable strategy is to start transforming our personal lives to be less dependent on energy—because then we’ll be less disappointed with failure and skyrocketing energy prices when that comes.